Supernatural help arrives in the form of a bachelorette party, where Ali is served drug-laced tea by a kooky fortune teller named Sister (Erykah Badu) and ends getting knocked out by a big inflatable novelty dong while dancing to 2 Live Crew. (Badu’s space-case performance is far and away What Men Want’s most consistent laugh-getter, and the movie knows it; the end credits roll in between what’s basically a reel of her improv outtakes and deleted scenes.) Waking up the next morning, Ali soon learns that she has gained the power to hear what men are thinking—a fact that she keeps secret from everyone except her dutiful assistant Brandon (Josh Brener), who has spent years handling Ali’s dates and dry-cleaning in expectation of a big promotion of his own. Some of these pacing problems and lame gags might be excusable if the movie weren’t confused by its premise: A story about a man who needs to learn to be less selfish around women doesn’t work the same way when the genders are reversed. What Men Want tries to make the opposite point (i.e. that Ali needs to think less about what the men in her profession think of her), playing the mind-reading fantasy as one of empowerment. Yet, at the same time, it tries to replicate the earlier film’s redemption arc, all the while proving that it is more than willing to adhere to the same double standards it ostensibly pokes fun at. In the original film, the Gibson character’s path to better-guy-dom included learning to be a better dad to his teenage daughter. 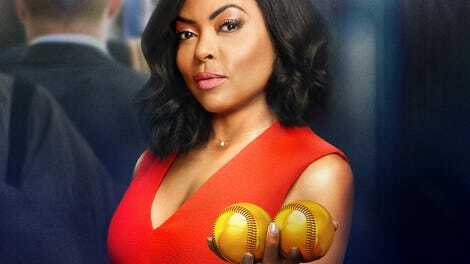 The most What Men Want can do to undercut Ali is to suggest that she might be too aggressive in the sack; the most clichéd flaws of male protagonists remain out of reach.